Growing up in family of creatives I take for granted that we have a space in our home just for doing projects. My childhood home and my grandparents’ homes all had studio spaces or a home office or even a full machine shop (my grandfather was an inventor) and my years working and studying architecture and design were filled with late nights in “The Studio.” These were places of discovery and comfort, of frustration and failure, and ultimately success and confidence building. I love studio space. 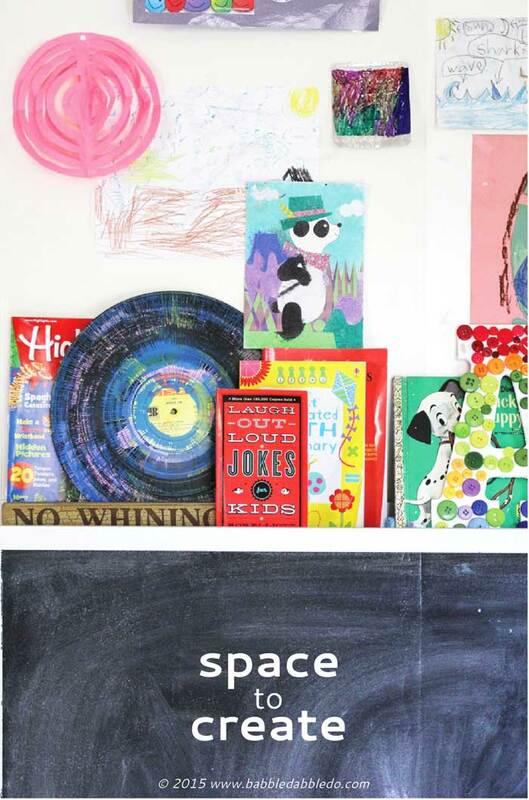 While the concept of carving out a space for making is not new to me, for most families it is actually a novel idea to have a dedicated creative space in your home. Why is that? 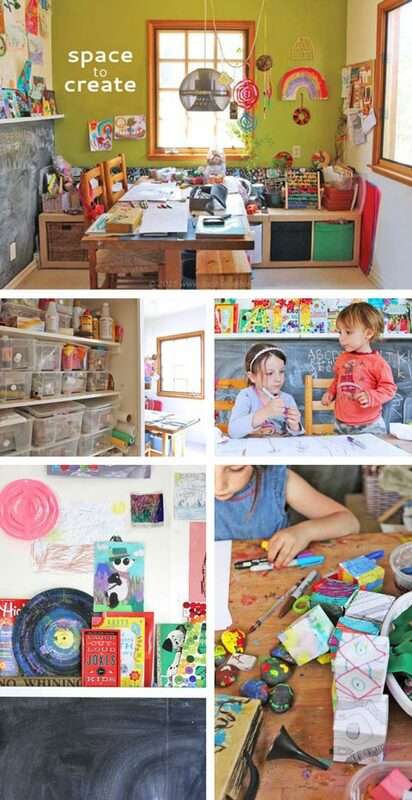 Many people have a playroom in their homes but what about an art room? 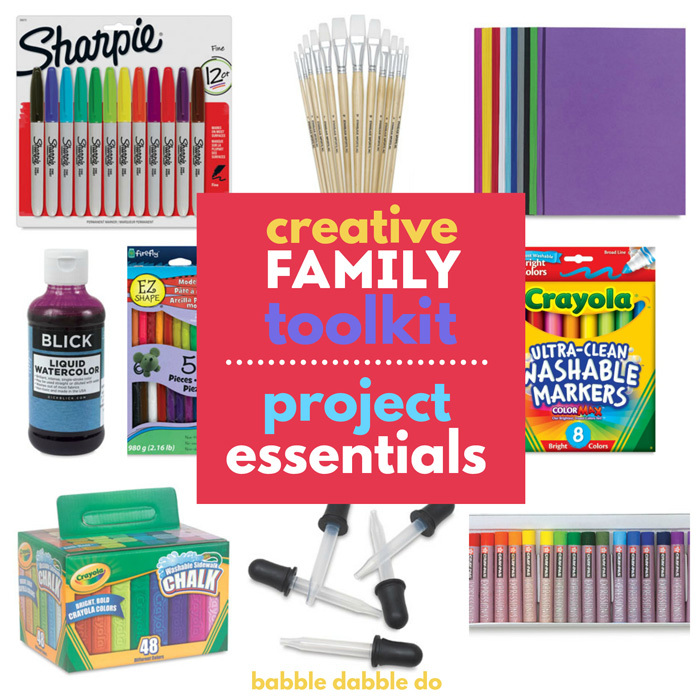 What if we put as much emphasis on art supplies and creative tools as we do on toys? It’s beautiful, succinct and to the point. 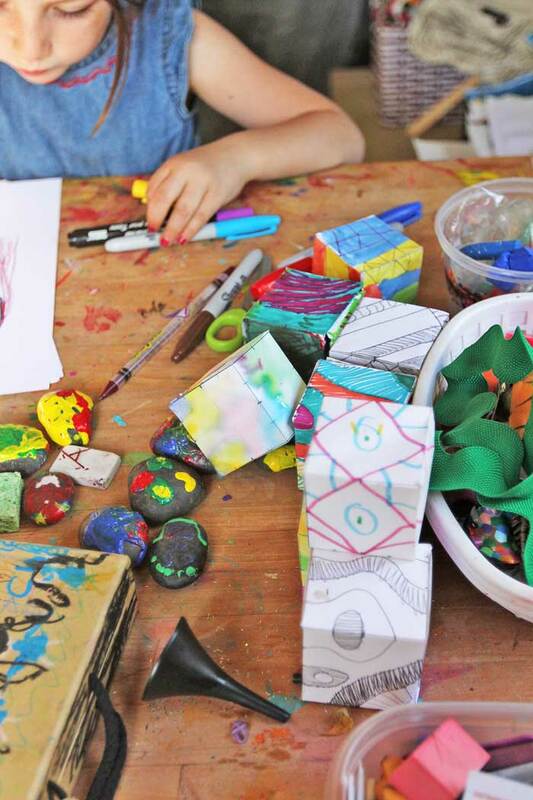 Most parents I know believe that the arts should be included in school programs but why do so few people actually make the arts a priority AT HOME in a physical space? 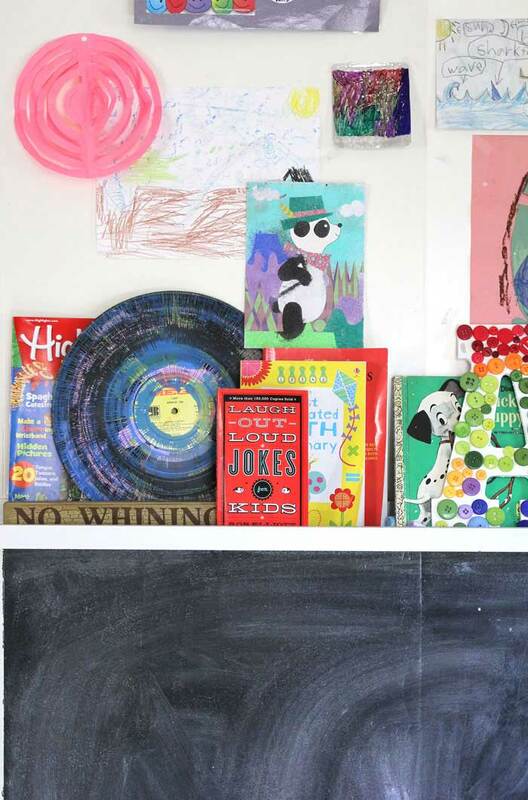 The New Playroom got my wheels spinning about this topic and I thought it was high time I shared our own home “studio” for a glimpse into what a creative space is and why you may want to consider carving one out in your house. 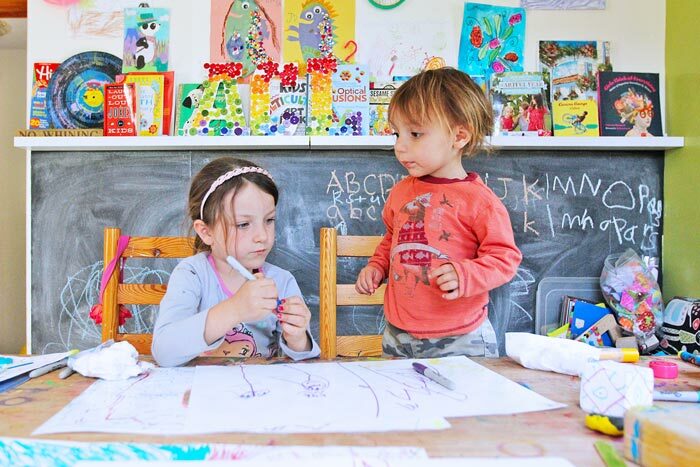 How Our Art Studio Came to Be…. Our home’s art studio sort of just happened. Originally it was supposed to be the breakfast room but within about a month we stopped eating any meals in there. Instead the nice butcher-block table started getting stained with paint and marker and I quickly gave up trying to clean off all the marks. Instead the table became a host to many a creative project. The room is my favorite place in our house; it has south facing light, is part of the kitchen (definitely the heart of our home) and is just a warm, inviting place to be. I started with a table and simple IKEA bench with bins below for storage. 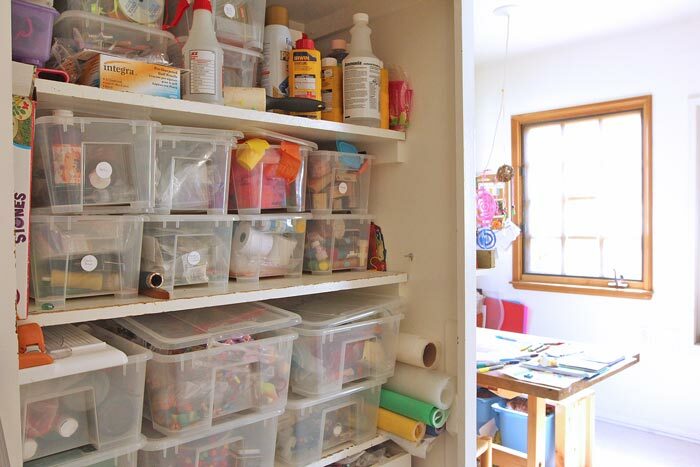 When our supplies outgrew the bins I converted our pantry to a storage place for art and project supplies. Later we added a chalkboard wall, book shelf, and art display area. Little by little my kids and I took over this space and made it into our studio. 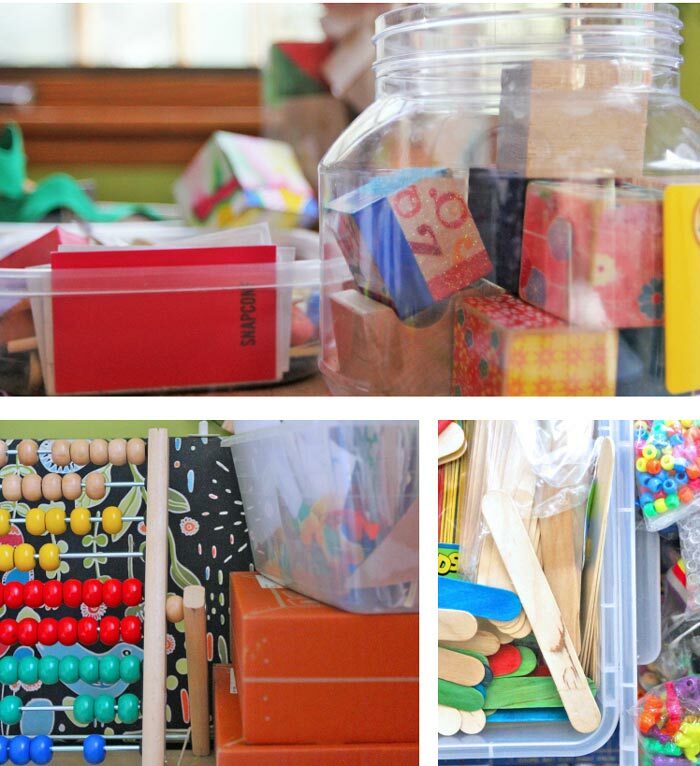 And I have learned to embrace the constant “mess,” after all creative thinking isn’t a clean process! Our space gets used on a daily basis. It’s but one of several places we make things. Living in Southern California means that we often move outside to do a project, sometimes bringing along our art cart. But I love the cozy, light filled space we created in our kitchen best. 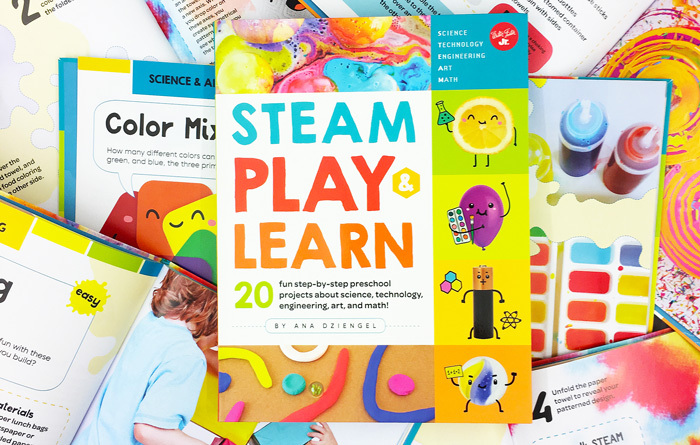 It’s a place of exploration, dreams, and hands-on learning. 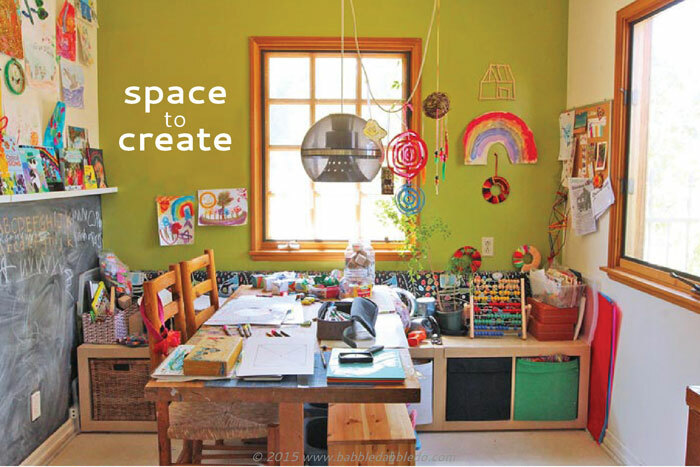 I encourage all of you who hold creativity dear to your heart to consider the idea of a creative space in your home. Disclaimer: I received a free copy of this guide. All opinions are my own. 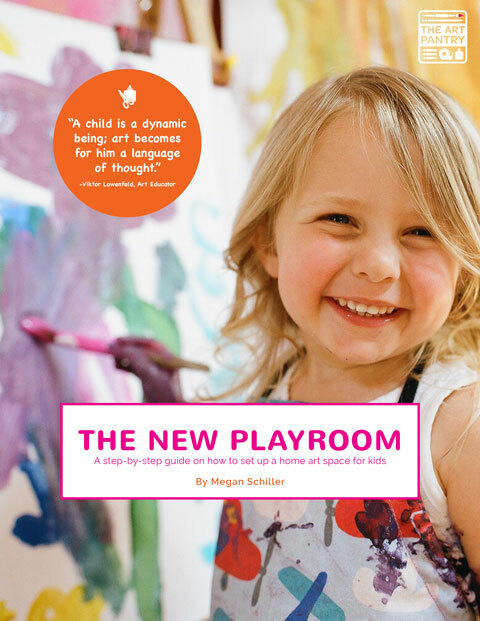 If you have no idea where to begin with making a creative space I highly recommend Megan’s guide: The New Playroom. 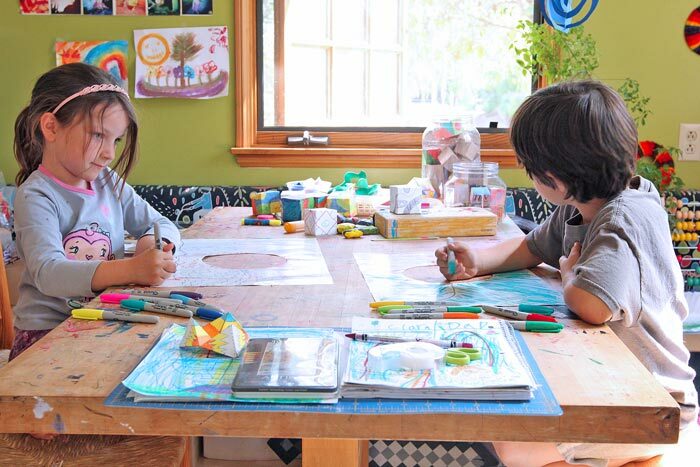 Megan is both an art teacher and an independent consultant who works with families to create art spaces in their home. She walks you through the process she uses with clients in this guide and also includes a bonus eBook with 30 Invitations to Create to get you started! 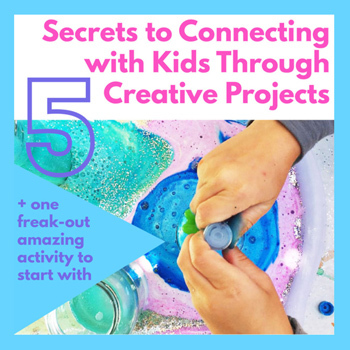 Subscribe to our free newsletter and check out our FB page where I share tons more creative ideas and resources from around the web. 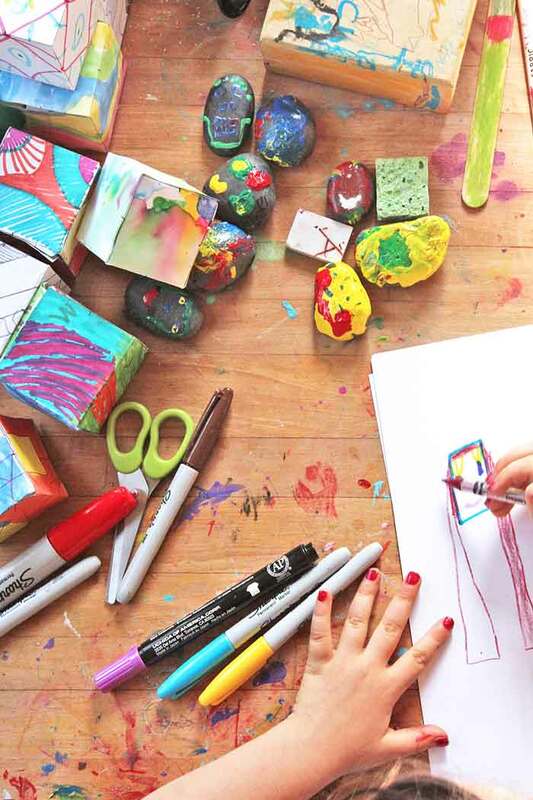 Want 8+ creative activities a month delivered straight to your inbox? Spread creative ideas like wildfire: Pin this! This is great! I used the kitchen table as well, but not completely dedicated to art. At a birthday party for one of my kids, the young guests painted aprons and we made pizza for dinner. We laid the aprons to dry on the living room floor, where the kids were not allowed to go. Ha! One feisty guest thought she could jump over the aprons. She missed. 20 years later, I still have paint on the floor! We will always remember that birthday party. Sounds like the best kind of memory! Thanks Crystal! Do you have post on your space? I’d love to see it! Absolutely stunning, Ana! I love the color of the wall, the textures, and the happiness that your space exudes. Inspiring! Oh thank you Rachelle! Your art space has been a HUGE source of inspiration! So happy to hear it! Even just setting up a table is a great start! Your space is so vibrant and exciting. I love that is right off the kitchen and so accessible for your kids. 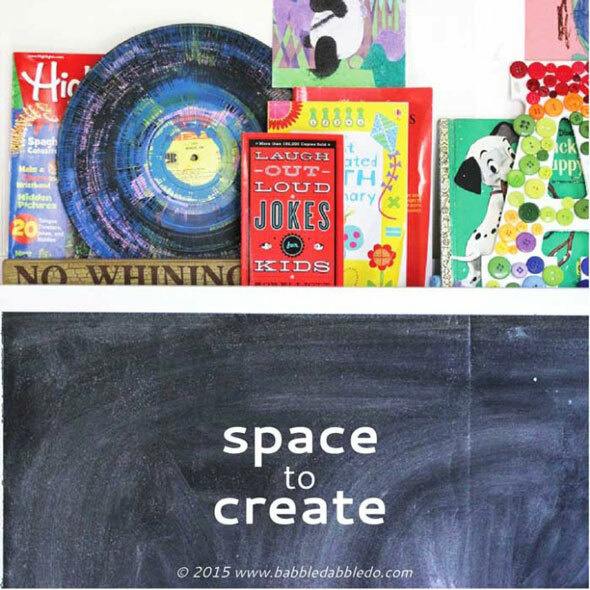 Thanks so much for sharing your space and for sharing my guide! This art space is just amazing. I wish more people would read this and would get inspired to put emphasis more on art supplies then toys. Loved every single bit about it. 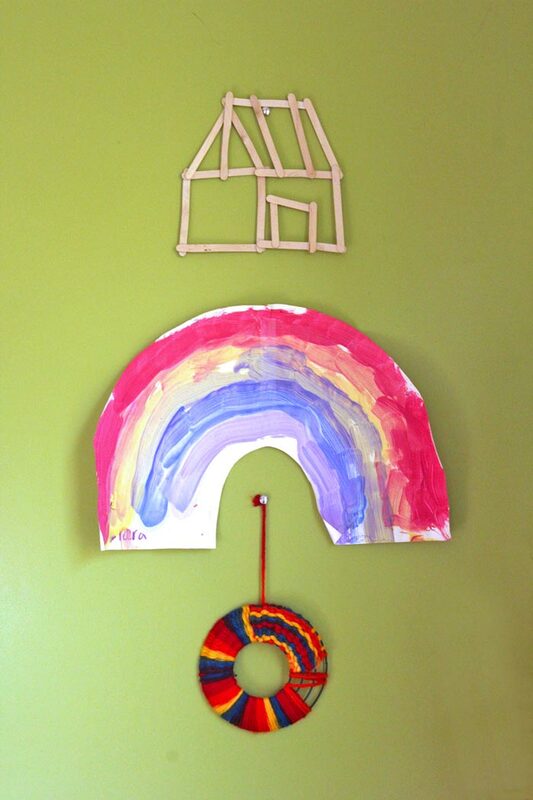 We are in the process of making our little art corner too near the kitchen. This will be a great inspiration for us. Thank you!!! I’ll be checking out Keepy! I love the photos of your art space. I can tell it has been up and running for some time! I am trying to figure out a good solid table that is so inexpensive anyone could have it. Maybe a door on legs or something like that. Any ideas out there? 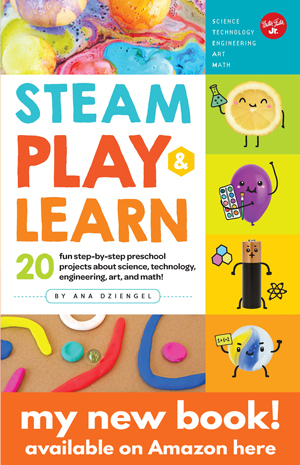 Diana Auerhammer recently posted…Art with the Kids, Part 1 – Let’s Make A Mess! I love the photos of your studio space. It is clear it has been up and running for some time! I am looking for ideas for a good sturdy table set up that is so inexpensive everyone could have one. And ideas out there?